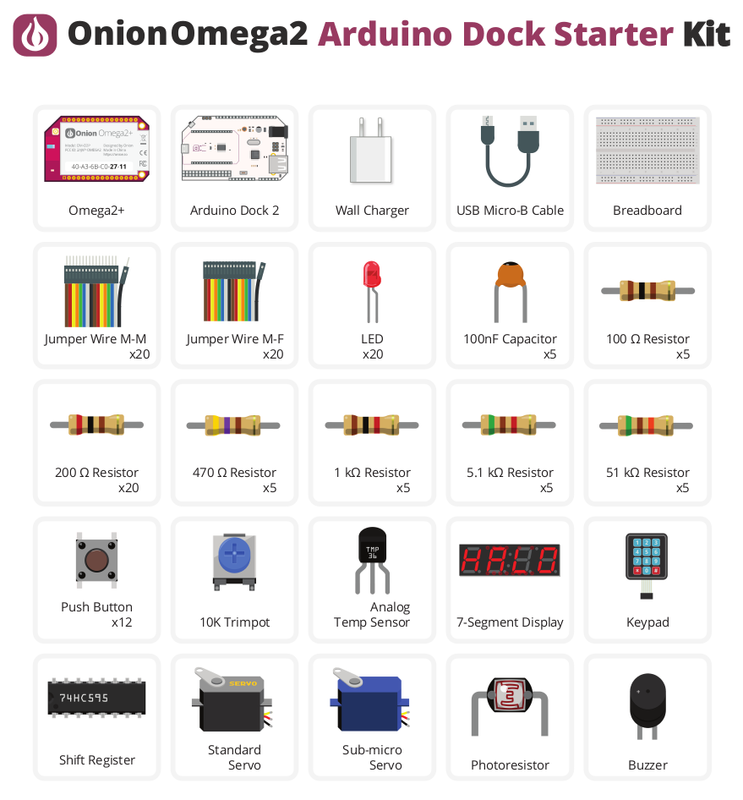 Dive into IOT development with the Arduino flavoured Omega2+ Starter Kit! With the included Arduino Dock 2, you can supercharge your projects by combining the familiar Arduino platform with the power & connectivity of the Omega2. Your Arduino Dock Starter Kit contains the following items labeled them here for your convenience.